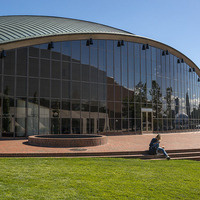 Kresge Auditorium houses a 1,200-seat performance hall and a 200-seat theatre, as well as rehearsal rooms and dressing rooms. 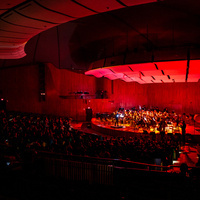 These spaces serve as the primary performance facilities for MIT Music and Theatre Arts productions and works by a number of student organizations. Thank you! I really like how the conductor told the audience about the history of the piece they were going to hear. I have never seen that before in a Symphony and I found that it truly enhanced the whole experience. I thought he was great. I would have liked to meet him and see if he knew my brother, a violist in the BSO, and that he was on Fulbright scholarship in Rome studying Viola D'Amore. The viola d'amore is my favorite string instrument. My brother, Joseph Pietropaolo passed away 3 years ago. I came with my daughters, it was great watching this with such a large group! It was wonderful to see so many members of the community and their families come out to celebrate this once in a generation spectacle!